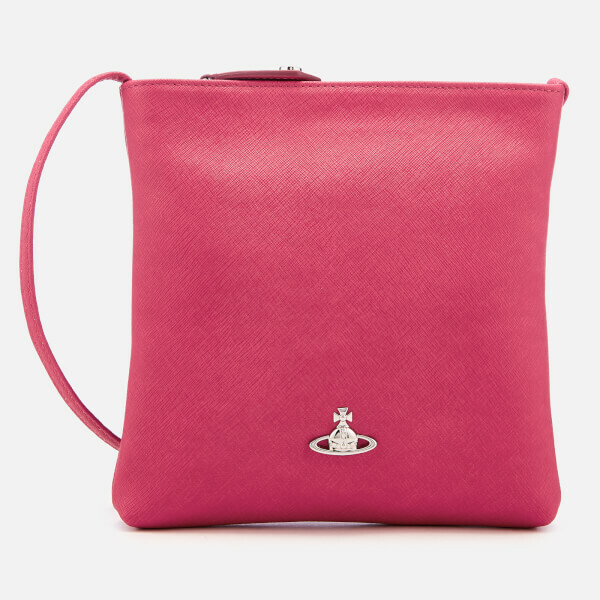 Vivienne Westwood ‘Victoria’ cross body bag in pink saffiano leather. 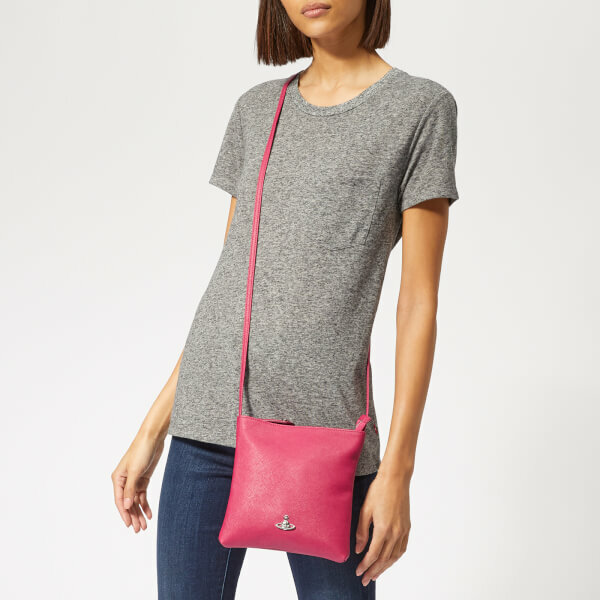 The square-shaped bag has a top zip fastening that opens to reveal an orb print lining, a zipped pocket and a debossed Vivienne Westwood logo badge. 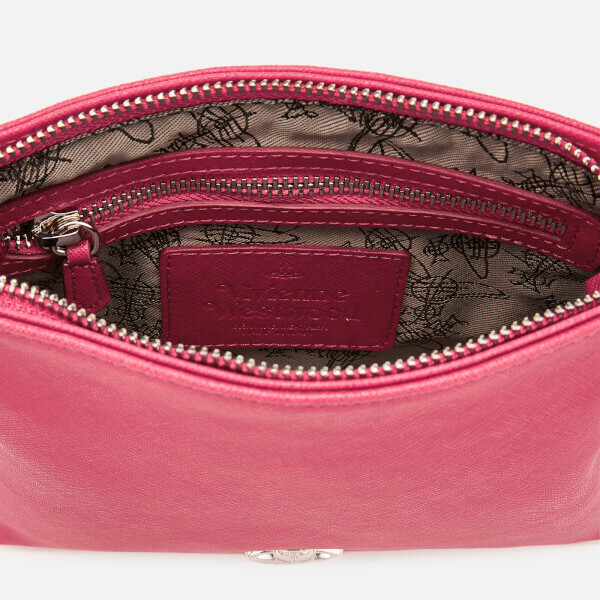 A silver-tone orb logo on the front and a logo stud on the zip puller complete the compact design. Presented in a branded gift box. Dimensions: H: 20cm x W: 19cm x D: 2cm. 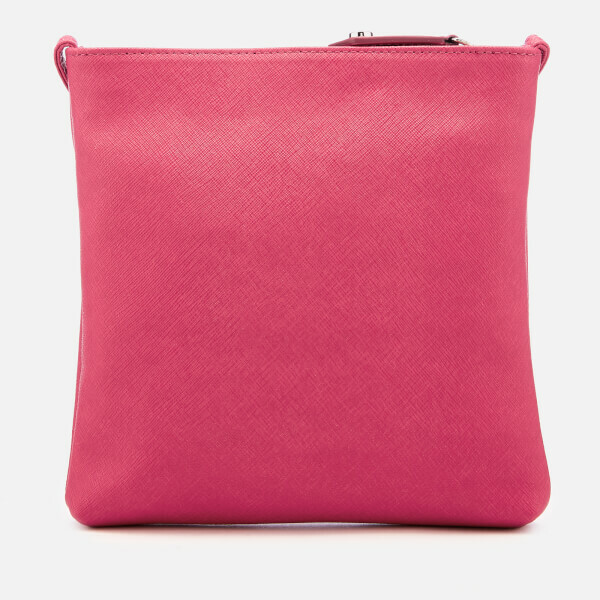 Strap Drop: 63cm.